Leslie Nielsen as "The Swamp Fox"
I can’t remember a time when I wasn’t fascinated by early American history. 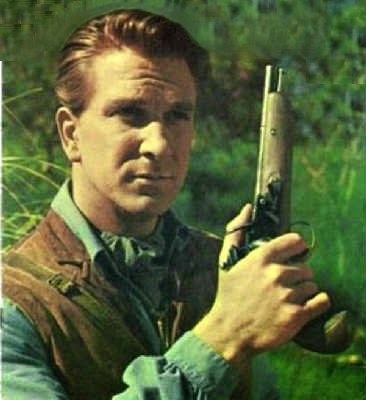 In fact, when I was ten, I wrote my first novel; it was very loosely based on the “Swamp Fox” TV series (a Disney production 1959-1960), starring Leslie Nielsen as the Revolutionary War hero, Francis Marion. I’d like to think I’ve come a long way since then. At around this time until I was fourteen or fifteen, our family vacations involved visits to old forts, battlefields and living history sites from Montreal to St. Augustine in Florida. My father was a Civil War buff who owned an extensive collection of books on the subject, but he was eclectic enough to include sites from earlier periods in our itineraries. Strolling through formal gardens and marveling at sumptuous bed chambers and ballrooms of Tryon Palace in North Carolina or expressing wonder over the three tiny rooms of an 18th century farmer’s house in Connecticut, I was deeply moved by the vibrations set off by the clothes, furniture and personal effects on display. Subsequent trips to Williamsburg, Virginia, and Old Sturbridge in Massachusetts, among others, provided far more insight than any high school history text could on how people in the past lived, worked and died, and with detail that struck all of my sensory nerves. 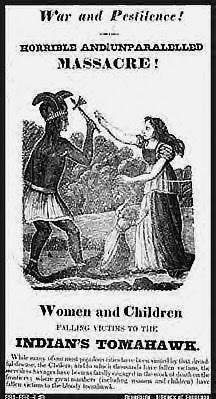 While searching for inspiration back in the days before the Internet, I became intrigued by “captive narratives.” In their time, and for a populace starved for the type of fabulous accounts that scream from today’s tabloids, this was an extremely popular genre depicting stories of white settlers taken in raids by Native Americans. Although all of these tales provided entertaining and informative reads (many supposedly in the teller’s own words), none was more gripping than the tale of Mary Jemison, a teenage girl who was captured by a French and Indian war party and adopted into the Seneca tribe in the area around what is now Syracuse, New York. Even as she mourned her family, Mary lived the rest of her life among the Haudenosaunee, marrying twice and giving birth to a number of children. By the time she was an old woman, Dehgewanus (as she was then called) had all but forgotten her native language and was venerated by her tribe. An equally engrossing tale is told in a more recent book. The Unredeemed Captive, by John Demos (Vintage, 1995), chronicles the efforts of a Massachusetts family in the early 1700’s to regain their daughter following a raid on Deerfield. After years of searching and countless disappointments, the father was horrified to learn that Eunice had married a Mohawk warrior and chose to remain with her captors. George Washington dispatched Generals John Sullivan and James Clinton and their armies into Iroquois lands essentially to minimize the effectiveness of Brandt’s forces by burning their villages and crops. The resulting devastation on both sides led only to more retaliation. An unexpected by-product of this campaign was the recovery of a number of white captives and their return to “civilization.” Some went happily with the army, while others had to be forcibly removed from the burning remains of their adoptive homes. This inspired me to ask myself, "What if...?" What if a white woman in like circumstances had been forced against her will to return to what was left of her family? I had read of incidents in which this had been the case, and in which these reunions, more often than not, were unpleasant (to put it mildly) for both the former captives and their relations. 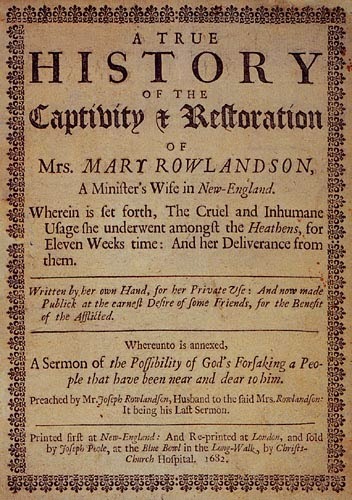 Many of the redeemed were scorned, shunned, and regarded with suspicion for their strange ways. After years of living among the “savages,” attempts to reintegrate into a society that was now foreign and strange ended in failure for these unfortunate people, who often ran away at first opportunity to rejoin their Indian families. 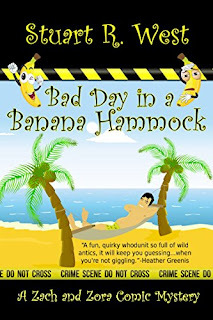 Not all of these tales had a happy ending. And so, with these accounts as its foundation, Zara Grey’s story took root in my imagination. Caught in a war pitting neighbor against neighbor, son against father, white man against “red man,” a young heiress of Dutch descent becomes both a pawn and a pariah, with murder in the bargain. Ethan Caine, the male protagonist in this historical romance, has as his backstory a 1763 incident in eastern Pennsylvania during Pontiac’s Rebellion that polarized the region. A group of self-appointed vigilantes, the “Paxton Boys,” fed up by a lack of support by colonial forces, attacked and killed residents of a nearby village of peaceful Susquehannock. While the actual incident was unprovoked, the fictionalized account in my book involves a patchwork of accounts gleaned in my research. Young Ethan is deeply traumatized by these events and the ensuing senseless slaughter. Fifteen years later he is forced to confront his own prejudice and regrets when he rescues a young white woman dressed in clothes of Iroquoian design attempting to cross a half-frozen stream enroute to Iroquois lands. 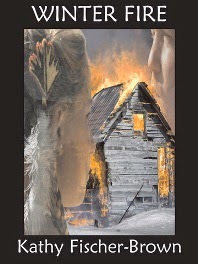 The resulting novel,Winter Fire, a 1998 Golden Heart finalist, has as its core the inter-cultural conflicts of its time, colored by the perceptions and fears of people in the midst of war. 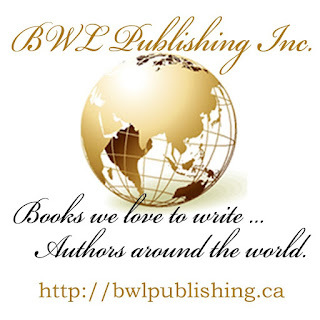 What makes a writer? There are said to be a lot of ways to get into this particular form of insanity, but I can only speak for myself. Personally, I believe writers are born, not made. I’ve just returned from a small visit to an old friend. We reconnected through our 50th HS reunion, which is a little odd, as I didn’t graduate from that school, but from a grammar school in Barbados. My friend and I hadn’t spoken or written since the 9th grade. That summer, my mother fled an abusive marriage and went to see old friends in the UK. She thought she and Dad were taking a break; he knew that the marriage was over, although he didn't say so . When I left home that summer, I expected to return to the US by Christmas. My father, however, already had a woman waiting in the wings. Instead an eventual reunion, there was an ugly long distance divorce. My school friends soon stopped answering my sad letters. In the '50's, a divorce sent you into social exile. Over time, I’d set the past aside. "Lost and gone forever" and "stiff upper lip" were the lessons. Imagine my surprise upon receiving an out-of-the-blue note last summer from this long-lost BFF! Apparently, one of our old classmates was with the FBI. For the fiftieth reunion, he’d pulled out all the stops, and located everybody even remotely associated with his graduating class. So what made this old friend so special? Well, Gemma was a co-conspirator in the great game of acting out the stories that filled my head. Her Mom sent her to ballet class and they had a wonderful costume box, too, something that every well-equipped home possessed in those days. I wanted to retell the stories I'd read, and sometimes to rewrite them—what is now called “fan fic” -- but mostly, in those days, we shared a desire to act them out. As we approached our teens, Gemma was among the few who would still engage in the make-believe which remained the center of my world. I was the story-teller, the director. Gemma intuitively understood the world of theater. She created dances and she had a fantastic sense of design, so she did costuming and make-up. Her house was large; her parents indulgent. We could stay up late, until our projects were complete. Favorites came from history and Greek myths--the gorier, the better. Cleopatra and the asp, Iphigenia on the altar, the Princes in the Tower, Aida and Radames buried alive! We always had musical accompaniment, too, so there was Beethoven, Schumann and Smetana’s The Moldau and all of Tchaikovsky's ballets. We had Grand Opera, too. Puccini and Verdi wrote music full of high drama, and their librettos reliably ended with someone tragically expiring. In our late sixties now, we reminisce, discussing marriages and schools, children and grandchildren, parents and trips abroad. Gemma became a college professor. I became (finally) a writer. Her job was a wiser choice, but I still can’t quit those old habits of falling in love with passionate characters, the kind whose stories I've just got to tell. Would you recognize an immortal on the street? I love to suspend the reader's beliefs. What if? What if there were angels walking among us? What if the immortals described in legends actually existed? What if angels did mate with human females, as the Bible says, and produced long-lived hybrid beings who look like us and walk this earth, some fighting for good, others for evil? What then? I like to think I could recognize one in the street. Could you? What would make them different from us? A glowing aura of goodness? A disturbing sense of evil? Probably none of the above. Real angels do not have wings. Only in the tenth century did Western Christianity start representing angels with wings. But in the ancient biblical texts, they never had any, except for a specific category of angels described with three pairs of wings and four heads. According to ancient texts, the divine messengers we call angels looked human. How else would they have passed for humans when they visited Loth in the story of Sodom and Gomorrah? They are described in the scriptures as beautiful young men. So beautiful that the debauched inhabitants of the ancient city wanted to purchase them for sexual favors. Immortals are very beautiful, that's a given. Angels are always gorgeous according to the scriptures. Besides, if you don't age and have supernatural genes, then you should be flawless and irresistible. This is especially convenient in romantic novels. We love our gorgeous immortals. Even the evil ones, like Lucifer, or the bloodiest of vampires, are said to have an irresistible charm. There is a special light in their eyes. If eyes are the windows of the soul, then much of their good or evil nature should filter through the eyes of immortals, angels, Fae and other supernatural beings. Movies have gone so far as to represent evil beings with blazing red eyes. That would be a hoot and a half... and very scary, late at night on a street corner. Immortals can be killed. That's why witches and sorcerers were burned at the stake. In Highlander, they can only be killed when you sever their head. In the Curse of the Lost Isle, my immortal ladies fear holy water and death by fire. Many methods are used to kill vampires. I've never heard of a way to kill an angel, but I'm sure there is somewhere a secret book of spells that teaches exactly that. Shame on the angel killers. 5 stars on Amazon "Edgy Medieval!" Love comes in many guises. In my life I’ve known three forms of abiding love. The kind that comes with always having a loving family around you—the kind that comes with a long and comfortable marriage with a steady, dependable man—and what is known as the “Grand Passion”. Hopefully everyone gets to experience this last one at least once in their life. My late husband was my best friend. He knew things about me no one else did, even my family. Each love brings a certain amount of heartache and has varying degrees of laughter and tears attached. I know I’ve been blessed, as some people know no love at all in their entire barren lifetime. Let’s face it, love as sung about in most songs, is a fleeting and fragile thing. Where would Country and Western singers have enough to write about without the heartache brought on by losing a lover. I likely chose romance as my choice of genre because of my smugness in having known great love. True enduring love as experienced by two people of whatever gender is a wonderful thing. Fate, Destiny, My Guardian Angel, call her what you will, has been more than kind to me. She’s always guided me to take the best and most rewarding fork in the road as I meander through the pathways that is life. As for friends, I’ve been so lucky in my life as I’ve always had friends around me I can depend on. What is it they say? “A true friend is the one who will help you bury a body!” Well please let’s hope I never have to call on any of mine to do such a task. I have friends back home in England that I only hear from once a year (at Christmas) but these have been steady for over 50 years. Friends have come and gone in different stages of my life but some are constant. I have long-time friends who live interstate that I catch up with rarely but they still remain firm friends I can call on in an emergency (hopefully not one where a body is involved). I have a friend who has promised to care for my dogs should I die before them. They say there is no such thing as a platonic friendship between a man and woman, but I think this not entirely true. Some of my best friends are male and truth be told I have always liked the company of these platonic ones. I like how men’s minds work (well the part that is understandable to a mere female). They have such a different way of looking at life to us females—more uncomplicated. And they take such pleasure in the simple things—such as absconding to their shed or workroom to potter about for hours doing who knows what. They don’t care if the dishes are left in the sink or if the bed is unmade at three in the afternoon, there’s more important things in life. Then there’s my super cyber friends. Most of these live in far flung corners of the world and I will never get to meet them face to face. But they are also constant, some having been a guide and help to me through varying parts of my writing career, providing assistance and advice that helped me on the way to becoming better at my craft. I’ve always considered myself a simple story-teller, following my heart rather than my head, but without the advice gained via this wonderful world of the internet where would any of us be today. Most of my characters have good friends to help them through their worst troubles. In Mystic Mountains Bella has Gracie who befriends her during the horrendous trip from England on the transport ship, then she has Thelma to watch over her when she arrives in the colony.